Items below are coming soon, call 0870 2074831 for details or to order! This Page is out of date you will be automatically redirected to the new Ascaso Innova Dream page where you will find the current info & prices. 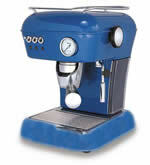 NEW range of stunning retro design machines in colours. 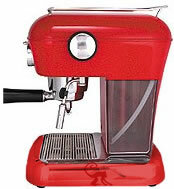 The DREAM by INNOVA is a solid, pump operated espresso & cappuccino machine. The optional INNOVA burr grinder comes in matching colours. This exciting new Innova Dream range is a mix of style, fun with a retro twist and quality parts. All the innova range having powerful 16 bar pumps these will deliver in all areas. Innova are a spanish espresso maker company recently introducing it's machines into the UK, a welcomed addition. 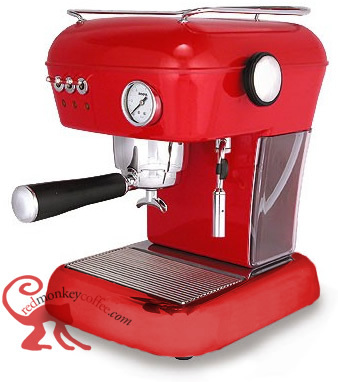 Available in 8 Finishes: Red Monkey Red (Shown Above), Kid Blue, Baby Pink, Mandarin Orange, Mediterranean Blue, Night Black, White & Polished Aluminium (£470) Colours not shown: Cream, Ladybird, Cow Print all available call 0870 207 4831 to order. to avoid delays - Limited number of items not already out of stock.